It started with a few critter wall decals from Target. But it was a 3-day mini camp at Drumlin Farm last summer that cemented my 6-year-old’s obsession with owls. She came home one day saying the call of the barred owl over and over ("Who cooks for you…Who cooks for you all…") and it's been nonstop owl this, owl that ever since. Needless to say, I embraced this newfound interest with gusto. We dove in head first to learn everything we could about owls. Fortunately, there is no shortage of amazing resources for kids and there’s plenty of paraphernalia to keep the interest going (yes, she has an owl backpack and lunch tote). To help jumpstart your child’s interest in these fascinating nocturnal creatures, my daughter and I selected a few fun facts to share. 1. 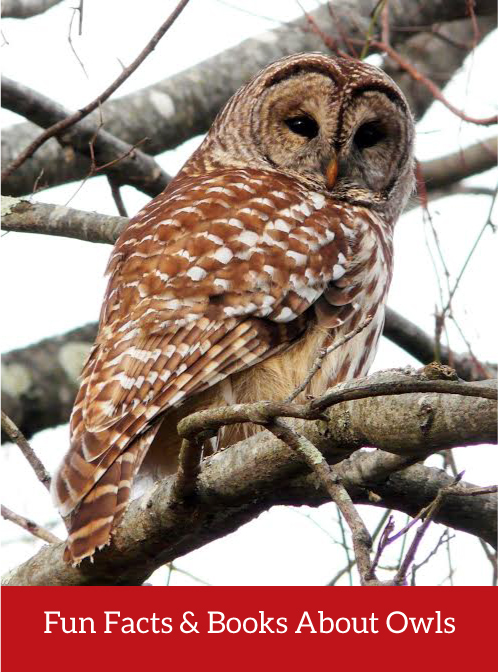 While there are 200 types of owls in the world, you may spot 8 species in Massachusetts. Of those, the smallest is the saw-whet owl, which could fit in the palm of your hand. The largest is the snowy owl, which comes from the Arctic to Massachusetts some winters. 2. Owls eat rats, mice, rabbits, squirrels, skunks, reptiles, frogs, and spiders. But they don’t digest the whole thing. Instead, hours later they cough up a “pellet” (think way cooler hair ball). The pellet is made of the teeth, fur, and bones and you can often find these under trees where owls roost (ie gather together). 3. Owls, with 14 different bones their neck, can turn their heads nearly three-quarters of the way around. People, with just seven neck bones, can typically turn their heads around only about halfway. 4. A group of owls is called a Parliament. A baby owl is called an owlet. The great horned owl is nicknamed the flying tiger because it’s so ferocious and strong. 5. It’s sometimes very hard to see an owl in the wild because they are so good at hiding. Instead you are more likely to hear one. To learn how to tell one hoot from another, listen to their calls at massaudubon.org/owls. Want to learn more about owls? 1. Join an upcoming program or owl prowl. To see a real live owl in person, head over to Drumlin Farm in Lincoln or Blue Hills Trailside Museum in Milton. Both have owls on display (great horned and barred at the former; snowy, barn, and great horned at the latter) that couldn’t survive in the wild. 2. 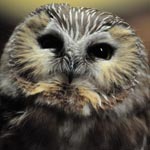 Check out the owl section on the Mass Audubon website. 3. Pick up one of mine and my daughter’s favorite owl books: The Littlest Owl by Caroline Pitcher & Tina MacNaughton, Owl Moon by by Jane Yolen & John Schoenherr, Owls: Birds of the Night by Emily Sollinger & Chris Rallis, The Book of North American Owls by Helen Roney Sattler & Jean Day Zallinger, and Owls by Gail Gibbons.